Harry Brock is in Washington D.C. on business, but then Harry's always on business. The cunning junk man has built an empire of garbage on crooked deals and cut-throat tactics, and he figures the only thing that will further enrich him is if he has a senator of his own on the payroll. As always, his girlfriend Billie has accompanied him, because he and Billie are linked by more than love. But Billie's brash manner and informal education (she's an ex-showgirl) make her a liability in the high-stakes world of government corruption, so Harry hires her a tutor in the form of journalist Paul Verrall. What he didn't count on is that Billie is ignorant, not stupid. Paul's teachings stick, and she recognize Harry is both immoral and dangerous -- not like the intelligent, morally upright Paul. Garson Kanin's comedy Born Yesterday was a big hit in 1946, and since our government is still corrupt and easily bought today, all the laughs remain intact 70 years later. 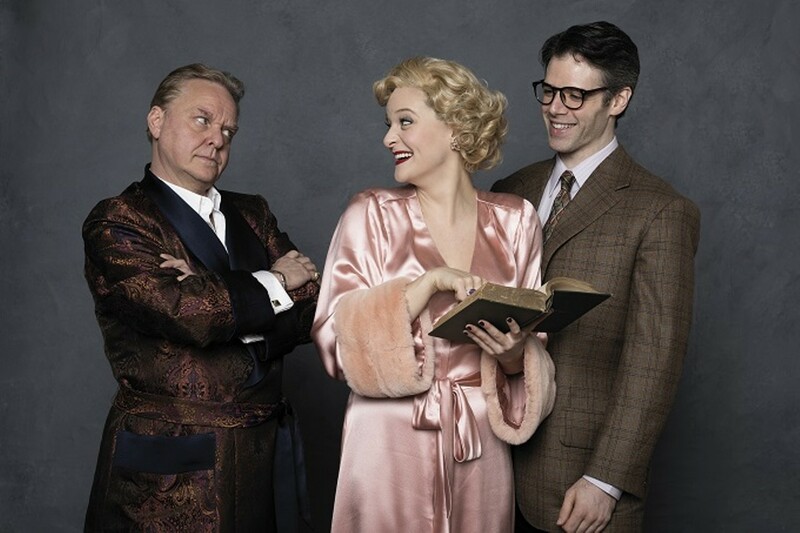 The Repertory Theatre St. Louis closes its current season with Born Yesterday. Performances are Tuesday through Sunday (March 14 to April 8) at the Loretto-Hilton Center (130 Edgar Road; www.repstl.org). Tickets are $18.50 to $89.